Every time a star hero okays a new script whilst Sukumar’s film is in the pipeline, there are rumors that the director is getting pressurized with deadlines. Well, the problem seems to be with the creative director and his Rangasthalam 2 ideas, but not with his heroes. Apparently Mahesh moved to Anil Ravipudi’s film because Sukumar’s script work was not complete by then. At the same time, Allu Arjun looked for a backup plan with Venu Sriram’s Icon, though he announced a movie with Sukumar, just because the script work is not yet complete. If Sukumar delayed further and Allu Arjun had to wait all that time, that ends up as another long gap like he took it after Naa Peru Surya. But, why is Sukku taking ample time to complete the script? 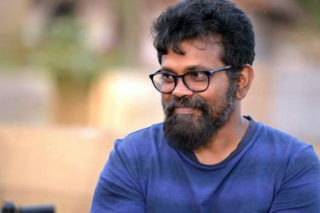 Despite being such a creative director who could chalk scripts in no time, Sukumar is said to be feeling pressure to deliver another Rangasthalam. Though heroes ask him for something bigger, it is heard that Sukumar’s extra care to carve each scene like Rangasthalam, is taking time to complete. Like rumors say, is Sukumar really trying a make a Rangasthalam 2 instead of something completely different?